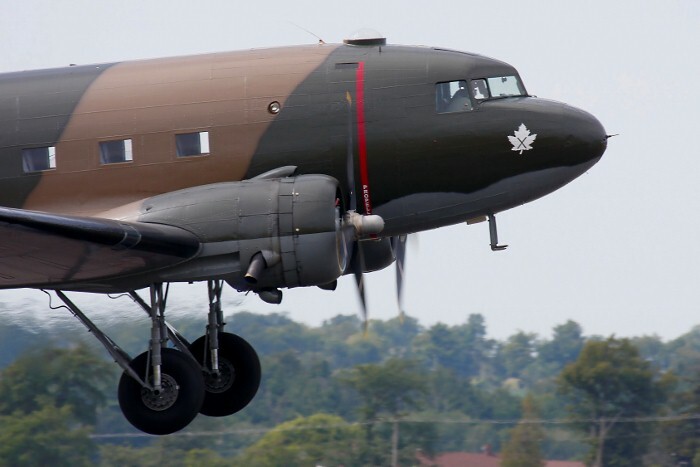 Click on one of the thumbnails below to access the 21 photos of this aircraft. 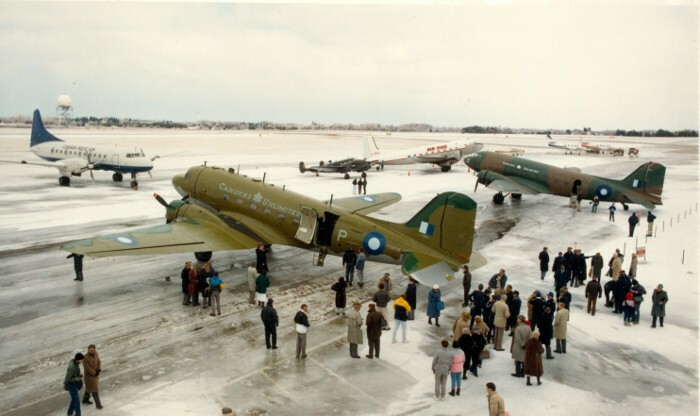 Between 1939 and 1981, the Museum&apos;s Dakota was operated by several airlines including Eastern Airlines, North Central Airlines and the University of North Dakota. 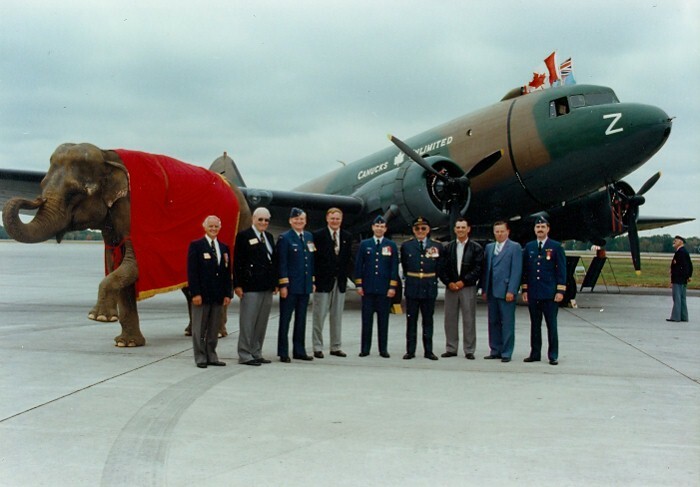 In 1981, Dennis Bradley bought himself a Dakota with the intention of turning it into a flying camper to take his family around the world. Dennis, Al Rowcliffe and Jerry Janes went to Chino, CA and ferried the aircraft back to Hamilton. During restoration, it was discovered that it was full of corrosion. This was not good news, but the real bad news that Dennis discovered about his "world family tour" was the lack of fuel to be found around the world and the logistics of getting fuel delivered to certain locations. 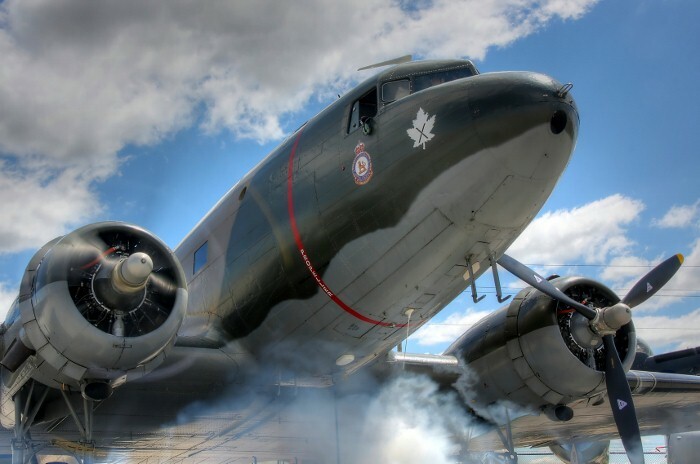 That put an end to this plan and instead, the Dakota was rebuilt and Dennis Bradley donated the DC-3 to the Museum. 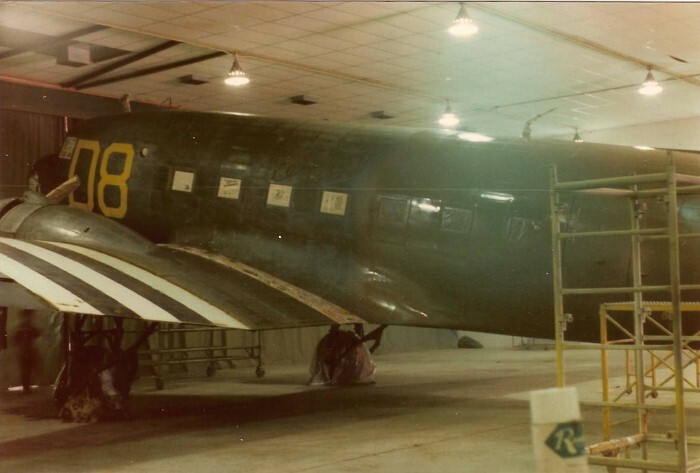 In the summer of 1982, the Museum&apos;s Dakota headed into the paint shop for the transformation from "Argonia" to "Canucks Unlimited". 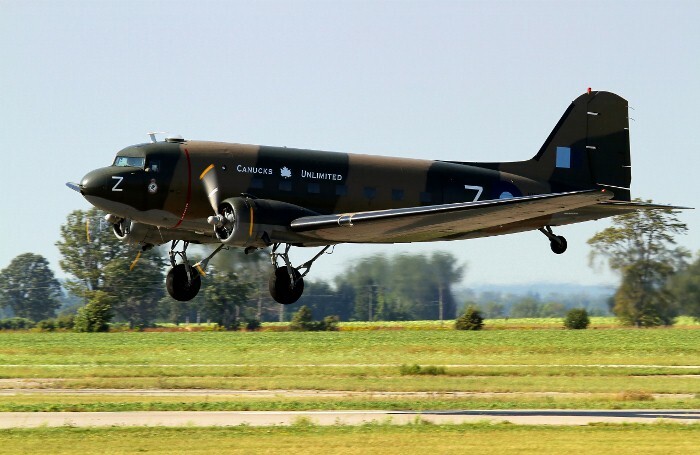 The Museum&apos;s Dakota, "Canucks Unlimited". 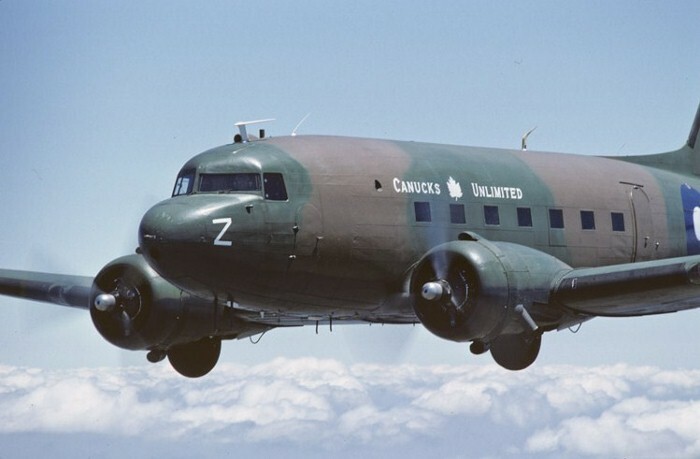 On one of the worst days of the 1988 winter season, a Canadian Armed Forces Dakota also painted up as "Canucks Unlimited" visited the Canadian Warplane Heritage Museum. 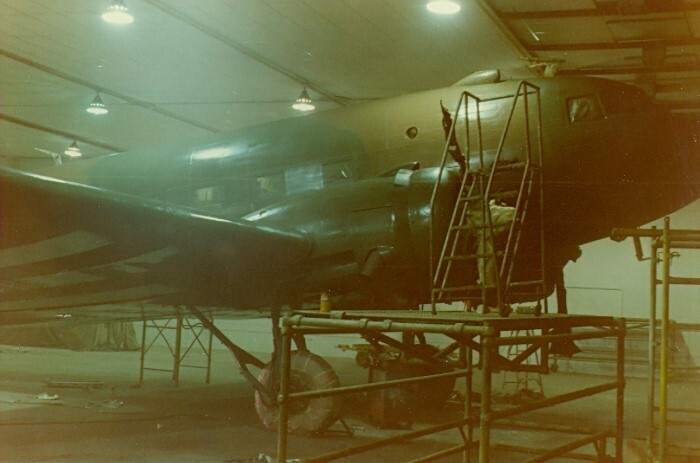 The Museum&apos;s Dakota and Canso. 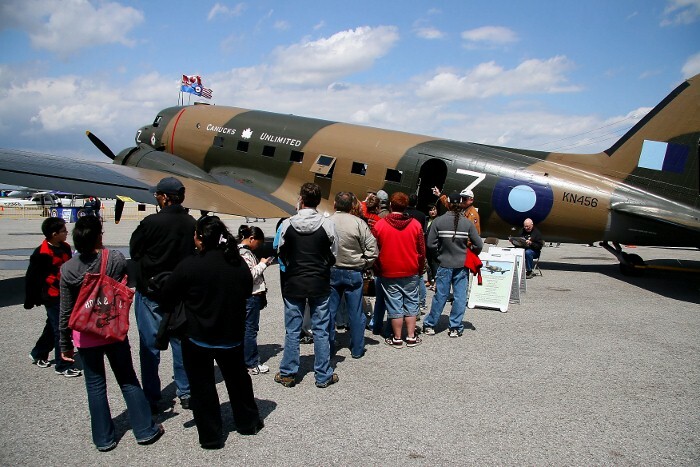 The Museum&apos;s Dakota, "Canucks Unlimited" giving tours at an airshow. 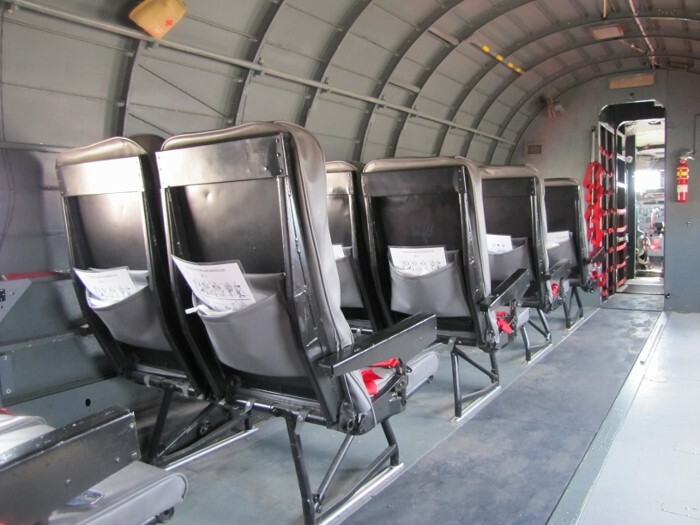 Interior of the Museum&apos;s Dakota. 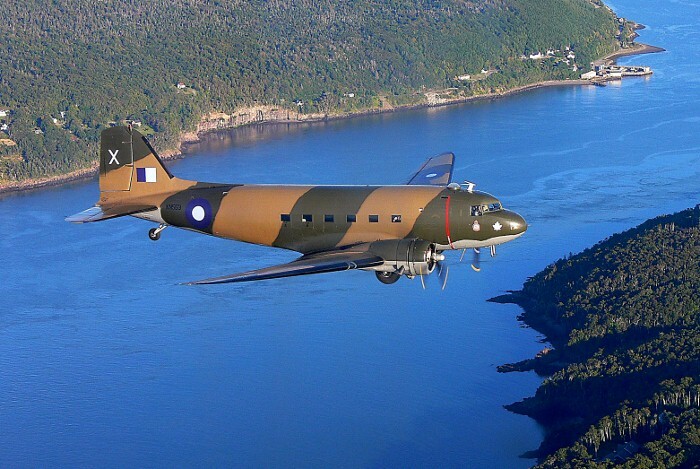 Original RCAF Dakota, "Canucks Unlimted". 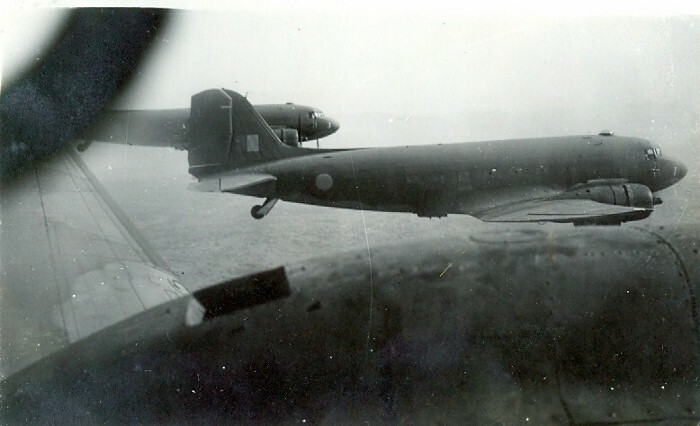 RCAF Dakotas operating over Burma during World War II. 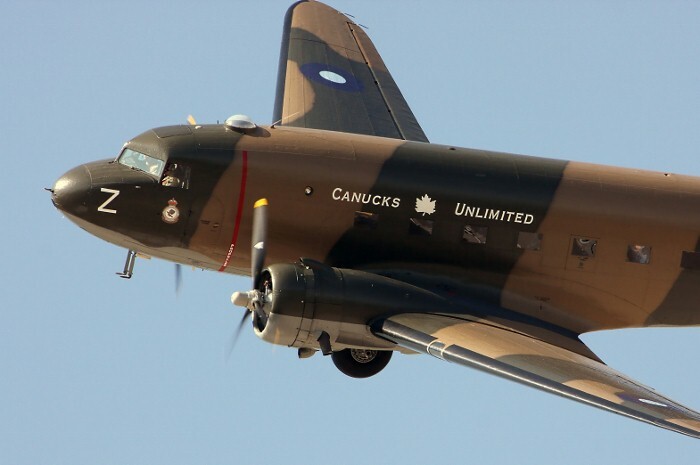 Overseas, Dakotas equipped RCAF No. 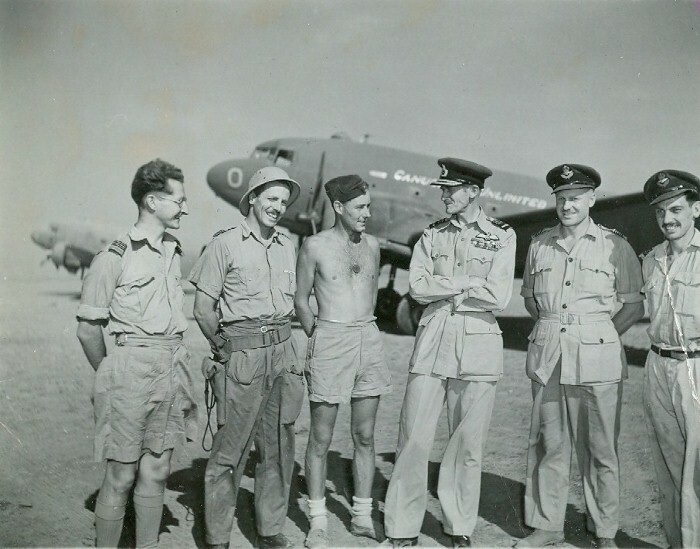 437 Squadron in Europe and RCAF No. 435 and 436 Squadrons in South East Asia. No. 437 Squadron was formed in England in September 1944, where it supported the British and Canadian Armies fighting in Europe. 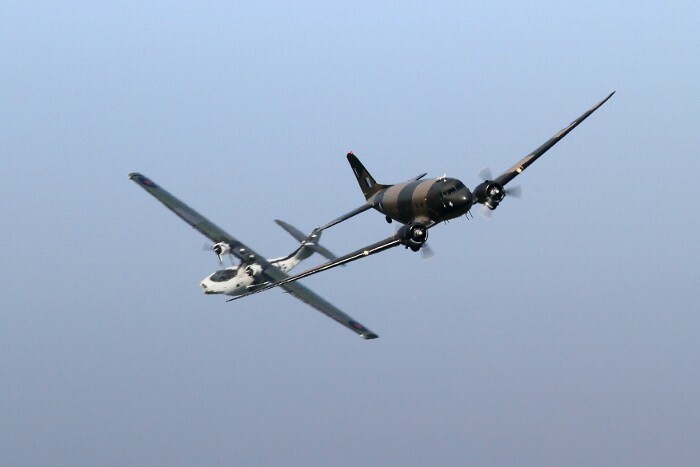 Its most important actions involved glider towing for the airborne landings at Arnhem and the Rhine crossing at Wesel. No. 435 and 436 Squadrons were formed in India in October 1944. 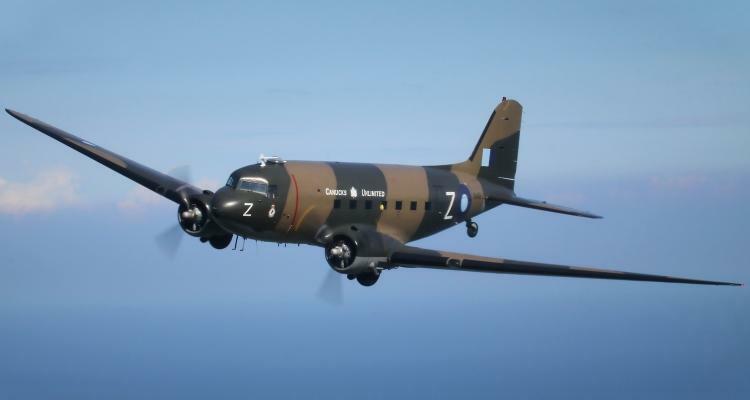 They flew Dakotas in support of the British 14th Army in Burma where they dropped supplies to the British troops fighting the Japanese in the jungle. 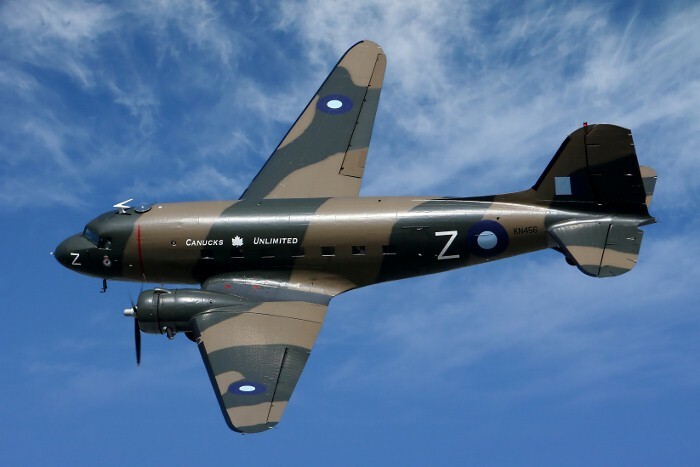 The Museum’s DC-3 Dakota displays the markings of RCAF No. 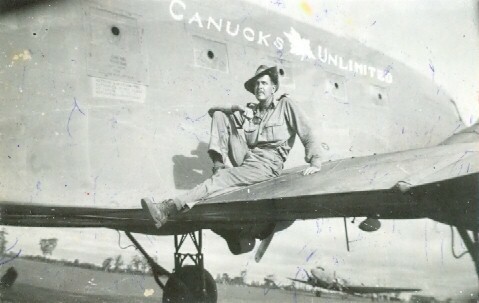 435 and 436 Squadrons, which operated in Burma during 1944-45 and whose slogan was "Canucks Unlimited". 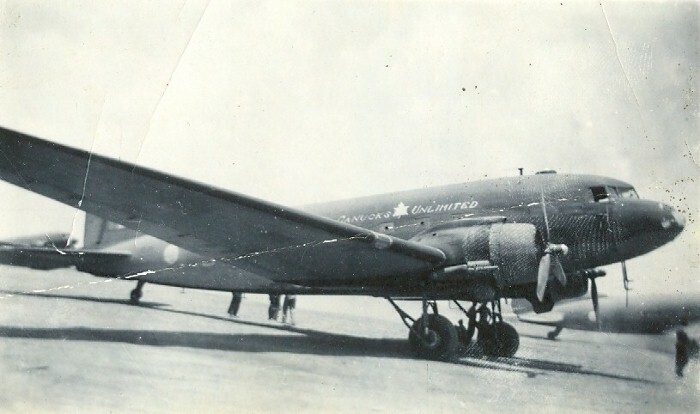 The DC-3 was built in June 1939 for Eastern Airlines, where it flew for over 13 years. 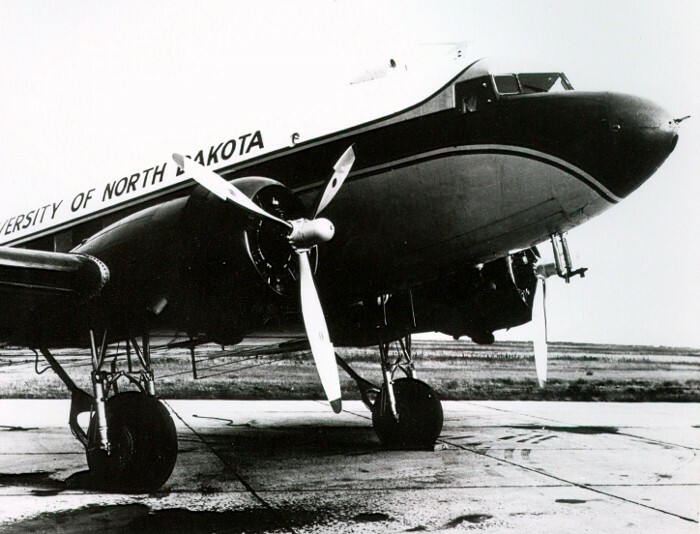 In 1952, it went to North Central Airlines who operated it for another 11 years. 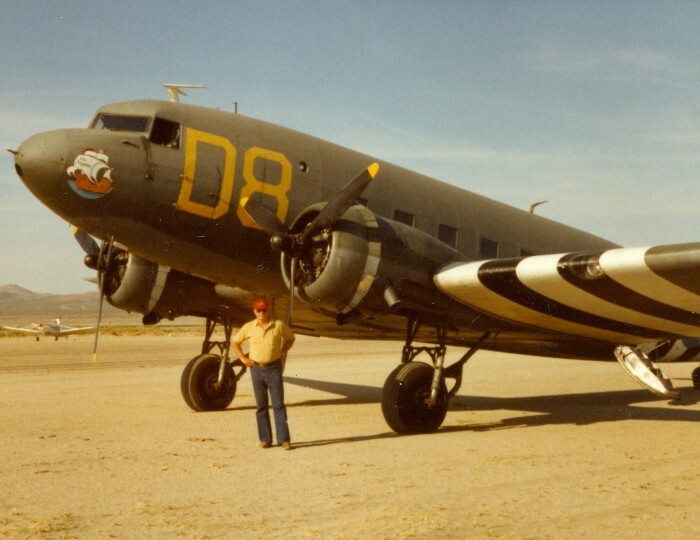 The aircraft then left airline service, but continued to fly commercially until it was acquired by Dennis Bradley, who donated it to the Museum in 1981. 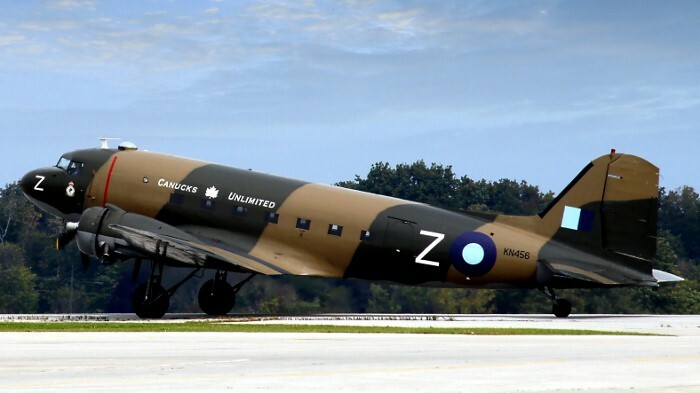 It is one of the highest time DC-3s currently still flying with over 82,000 hours in the air - equal to over 12 million miles, or 492 times around the world.